Globally, efforts are being made to harness the solar energy to its fullest. However, there are several challenges involved in it. One of the major problems in tapping solar energy is air pollution. Recently, Duke University professor Michael Bergin was shown the solar panel installations in India and he was blown away by how dirty they were. He found out that there was no study to find out how the air pollution affected solar cells. He and his colleagues at IIT-Gandhinagar (IIT-GN) decided put together a comprehensive model to do that. The team then began monitoring the output of the solar panels at the IIT-GN campus as it gathered dust over time. 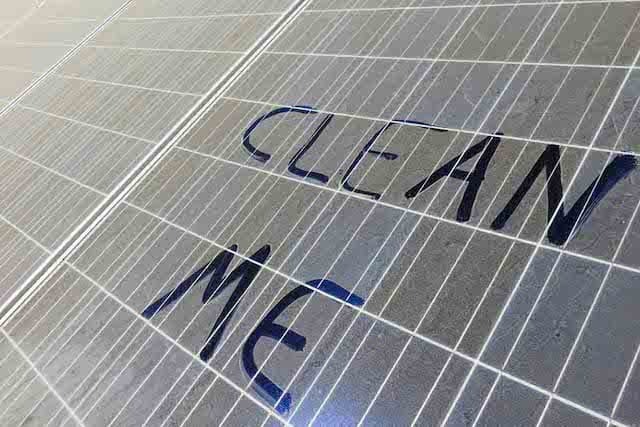 The results revealed that every time the solar panels were cleaned, they showed almost 50% efficiency improvement. The grime was sampled and analyzed. It was found out that about 92% of it was natural dust while the rest was carbon and ion pollutants from human activity. While 8% might look like a small amount, it's worth noting that man-made particles block light more efficiently than the natural dust. The team concluded that the decrease in efficiency of solar cells was more because of human activity than the natural dust. These particles are so small and sticky that it's often difficult to clean them off the solar panels. However, cleaning the panels often isn't the right solution because that might just damage the panels. Bergin had earlier worked on how the pollutants affected the color of the Taj Mahal. He had a good knowledge of how the tiny particles react to sunlight. Bergin created an equation to calculate the amount of sunlight blocked by varying composition of dust and pollution. Bergin worked with Drew Shindell, an expert in using NASA GISS Global Climate Model to figure out amount of Sun's energy blocked by airborne particles. All the data was then computed to estimate the total loss of solar energy production in various parts of the world. The regions with higher migratory dust had about 17 - 25% of loss. China, for example is estimated to be losing several billions of dollars only because of air pollution and India isn't far behind. Read more about the study on source link below.